Banners give high impact promotion at low budget cost. These great attention-getters are especially well-suited for short-term use, annual event reuse, or for outdoor advertising in high traffic areas. Sometimes you need an interior banner for just a day or two. Other times you need an outdoor banner to last several months. We customize each banner to meet your specific needs. We will give you options and recommendations to insure you get the maximum effect for the right price. All sizes are available, from common sizes such as 2' x 6' and 3' x 8', all the way up to banners as large as a billboard. 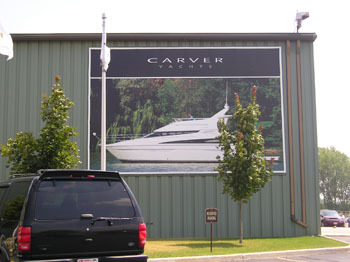 Check out the Product Gallery for more samples of the banners we have produced in the past.